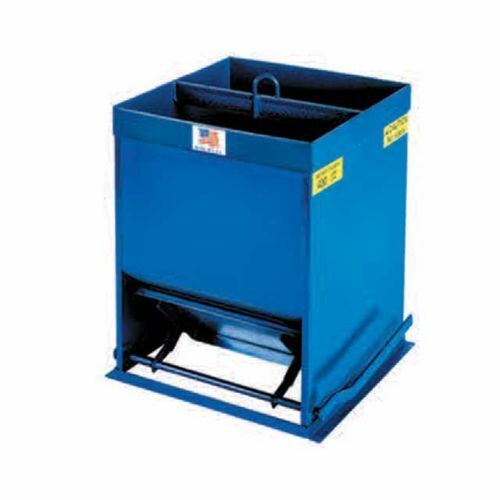 GB400 gravel bucket: Capacity up to 3.5 cubic ft. and 400 lbs. The bottom discharge operates by handles on either side. The trap door is reinforced. Dimensions are: 18"w x 18in d x 24" h.